While studying film in college, there were several authorities I came to respect on the subject. There were my hardworking professors, of course, who variously taught me the inner white collar workings of the film industry as it stood in the late 1990s (I hasten to add that most of their lessons remain relevant today). There were David Bordwell and Kristin Thompson, who authored one of the most helpful film textbooks I was assigned (Film Art: An Introduction is currently in its eleventh edition; I read the fifth). There were the gloriously snotty cult cineastes at my local video store whose uppity and elitist conversations about the deep cuts of Ray Dennis Steckler were heard to my naïve ear as holy writ. There were the flip and casual pop obsessives writing for “Mystery Science Theater 3000,” whose blasé references to long-forgotten '70s TV oddities inflamed my imagination, and spurred me to learn more about the whole embarrassing map of pop culture in its entirety. And there was Roger Ebert. Ebert, for many years considered the elder statesman of film criticism, often came under fire for liking too many films or for being too generous in his star ratings. Indeed, Ebert was often lambasted by his peers and by serious cinephiles for cleaving too closely to his “thumbs-up-thumbs-down” form of film rating. The thumb-based either/or dichotomy of Gene Siskel's and Roger Ebert's criticism, many claimed at the time, robbed film journalism of its vital nuance, forcing readers to think of films as either merely good or merely bad without any room for debate or subtlety. And while the thumbs-up-thumbs-down form of criticism was certainly reductive, both Siskel and Ebert themselves openly expressed frustration on how reductive it was, and preferred that a viewer instead look up their written work. They continued to use thumbs, however, for their ease of consumption; Siskel pointed out that audiences of a criticism TV show didn't necessarily want to hear essayic debates on obscure artistic minutiae, they just wanted to know whether or not to see a certain flick that weekend. I had always been an admirer of “Siskel and Ebert at the Movies,” even if I wasn't able to watch it with any regularity; my teen life was taking me elsewhere, often to video arcades, when the show aired. It wasn't until after I graduated from college, and I had access to the then-new RogerEbert.com, that I started to consume the essays and reviews of Roger Ebert with any sort of consistency. I wolfed down all the information I could, eager to accept a new film authority into my cognitive repertoire. I wrote down all of the films in Ebert's Great Movies collection (which was, then, still being expanded film-by-film on a bi-weekly basis) and watched classics I had never heard of. Ebert introduced me to Douglas Sirk, Marcel Carné, Yasujiro Ozu, and Jean Renoir. He gave me context for Sergei Eisenstein, Michelangelo Antonioni, Spike Lee, and Terrence Malick. My formal education had ended, but my informal education was just beginning to mushroom. 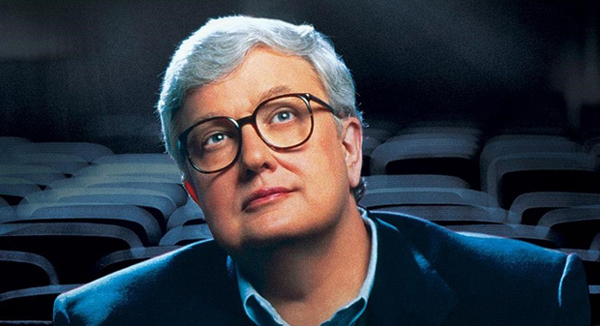 Over the course of my intellectual binge of Roger Ebert's back catalogue – and I didn't realize this at the time – I was learning valuable viewpoints. Although I had spent several years examining film, film business, storytelling, and screenwriting basics, I found was still leaning heavily on certain prejudices when it came to the way I viewed movies. Ebert, without ever addressing me personally, managed to confront all my personal prejudices. He was taking his readers by the hand and leading them into a more open, healthier viewpoint when it came to cinema. Was he arrogant about it? Occasionally. Would he condescend? Even more occasionally. Did I disagree with him? Quite often. Did he callously dismiss films and even entire genres that I personally loved? Indeed he did (despite his love of films like “Halloween” and “Scream,” Ebert was often very sour about the slasher films I was weaned on as a high schooler). But the lessons Ebert taught me, to this day, are lessons one can still rely on when viewing and writing about film. 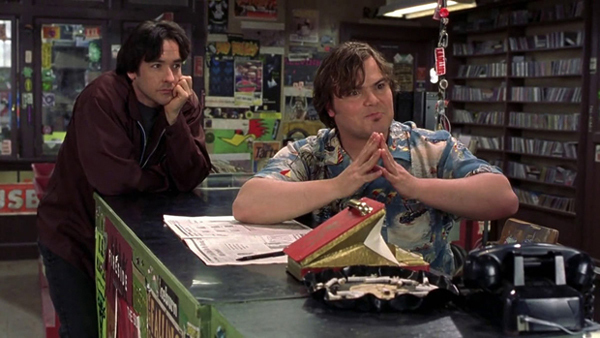 When the lights go down in a theater, I learned about entering an appropriate headspace from Ebert. Ebert, like any decent critic would, touted the “greats” with an impassioned regularity. He was eager to share with audiences his knowledge and enthusiasm for the films of Ingmar Bergman, and recorded a well-regarded commentary track for “Citizen Kane.” But he would never allow himself to extend into outright critical elitism, careful to judge every single film, regardless of content or context, on its individual merits. When I was in my teens and early 20s – and I suspect this is a habit of many young film enthusiasts – I had constructed numerous divides in my head between the films that were acceptable to talk about, and the films that weren't worth discussing, sight unseen. Ebert, when he began every review, was careful to suss out what each film hoped to accomplish, and judged it only on those merits. As such, I began entering every film with a more open mind. In conversation, I would share that I was eager to see one film or perhaps dreading another, but when I went into a theater to see just any film at all, I had to take a deep breath and listen to what the film was saying. Sometimes I wasn't sophisticated enough to understand what was happening, and sometimes I understood rather quickly and was made impatient by a film's lack of depth, but I was open to listening. As such, I found myself more capable of writing about the art. I learned technique from professors, but I learned how to recognize its execution from Ebert. When it came to criticism, then, there was no longer a divide between “important” arthouse fare, middle-of-the-road Hollywood pap, or bright silly kiddie entertainments. The prejudices began to erode. I still have types of films I prefer, of course, but I'm able to view films far more openly that previously. This is an extension from the previous point. As with anything in life, when one breaks down their petty prejudices and begins to really see every detail, one will be more open to more detailed art. Any film, then, could be potentially great, even if it comes from an unexpected place. Some critics feel that great films can only come from outside the Hollywood machine. Some feel the opposite. And while one can discover avenues to a constant stream of fascinating cinema (modern Asian cinema has been producing a lot of interesting experiments over the course of the last decade and a half, for instance), Ebert teaches us that any avenue is a legitimate venue for potential greatness. Will you get a thrill from the latest Apichatpong Weerasethakul film? It's likely. Will you enjoy “Captain Underpants: The First Epic Movie?” It's likely. Even if a film comes from a filmmaker or from a genre you hate, you may be surprised. I had hated all of David Ayer's films to date, but found myself blown away and emotionally devastated by “End of Watch.” I await the day, with an open mind, when Adam Sandler's Happy Madison productions – a studio that has perhaps offended and irked me more than any other – gives me something profound and great. This is, of course, a very basic lesson, and one most critics internalize very early in their careers, but we all need to learn it eventually. Ebert gave it to me. Roger Ebert (notoriously) gave “BlueVelvet” only one star. 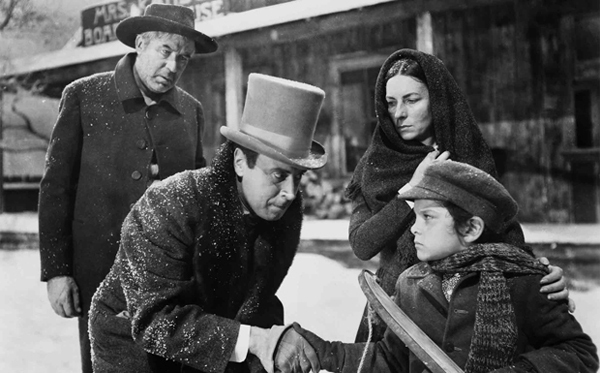 He felt that the violence was toxic, the filmmaking distant, the abuse of the Dorothy Vallens character unforgivable. “Blue Velvet” is often hailed as one of the best films of the 1980s, and a striking new statement of purpose from a fully formed David Lynch who had clearly recovered from the bad experience of working on “Dune” three years previous. Ebert dug his heels in. He would not accept “Blue Velvet” as anything beyond toxic and mean. Over the years, angry readers would write to Ebert pointing out that “Blue Velvet” only earned one star, but unintelligent commercial family fare like “Garfield” received three. Ebert always, always, patiently pointed out that ratings weren't to be compared. He repeated this often. The three star review for “Garfield” was not to say that “Garfield” was better than “Blue Velvet.” It simply succeeded as a film better. “Blue Velvet,” to Ebert, failed to tell its story effectively, however ambitious it was and however aesthetically striking it was. “Garfield,” with infinitely more modest ambitions, effectively encapsulated the comic strip character with aplomb. It was more successful. Not all films are comparable, of course. But every film can be judged. And the only way to judge a film is by what you intuit its ambitions to be. Ebert, of course, authored a good number of lists. He would annually recount a given year in film, and come up with ranked lists of the best films of that year. He also was constantly adding to his list of Great Movies, which, at his death had reached well over 300. He was also polled by Sight & Sound to name the ten best films of all time, a task his was able to complete only after a Herculean amount of intellectual struggle. I have also authored so many lists in my life. Some of which were unbelievably churlish. Given the current state of internet film discourse, lists – or listicles, as they have come to be known – are gold. They are an easy-to-consume, draw in audiences, and are a fun topic of debate. Ebert was, of course, ambivalent about lists. He liked their handy function, but recoiled at their reductive nature. Since every film's success was relative and not absolute, it was difficult to rank films. He openly refused to play list games with readers, denying all requests for, say, Best Surf Movies in his Answer Man column. While I will author many more lists in my days as a critic – it's still sometimes fun to write lists, it's necessary for year-end recaps, and it certainly puts bread on the table – I try to no longer think of films in terms of a list. As a young critic in college, writing for my college newspaper, I kept a running tally in my mind of the best movies I had ever seen. I altered the list incessantly, and argued with others what truly belongs at the top. My view of film was bound in by this list, and my obsessive need for a taxonomy of greatness was the defining principle of cinema discourse. As I saw more and more films, however, my obsessive need began to fall away. I no longer have a list in my head of the best films of all time, or the best filmmakers, or the most important action movies. I can name you several, of course, and I'd be happy to discuss the merits and demerits of any film I have seen, but I no longer have movies ranked on a piece of paper in my head. Roger Ebert, one may note, didn't call his ongoing list of greats “The Greatest Movies.” He wasn't ranking films. He was simply staring out into the varied universe of film and finding great ones. None outranked others. They were merely great. I recently had a debate with some colleagues as to who the most important filmmakers of the modern age were. My compatriots, intelligent men both, argued that to be considered “important” enough to be included on their Top 10 list, one must also be widely accepted by a mass audience. I argued that daring filmmaking, even if it is as-yet undiscovered by a mass population, can still qualify one for importance. We debated for a long time, and tempers flared. It wasn't until late in the debate that I realized what we were really talking about: a critic's need to make lists. My compatriots were concerned with galvanizing a Top 10 list of filmmakers that should be accepted as authoritative. I was merely trying to think of artists, unranked, with daring and original voices. Once one abandons the list in one's head, one can expand one's thinking. A known collection of great films is different than an unchanging top 10. Also known as Ebert's Law, this may be the most important thing Ebert conveyed to the world. There is – and has been – a tendency in criticism to take films very literally. To examine only their text and focus very sharply on plot. That filmmaking should be story driven, and all failings should be considered failings of structure. Ebert knew better. He knew that a story – what a film is about – is not as important as the way it is told – how it's about it. 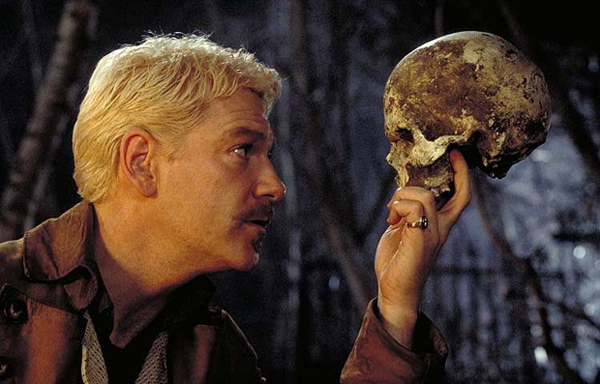 A story can be told in a myriad number of ways; look at how many productions there have been of “Hamlet,” for instance. But a film's attitude, its tone, is going to communicate what an audience really hears. A strong story is needed of course, but I have always maintained that a story is the clothesline on which you hang a quilt of film. The clothesline needs to be strong enough to support the quilt, but it's not what you're looking at. All the personality of the film, all of the themes, all of the artistic flourishes extend far, far beyond the mere story. Style. Visual innovation. Exploration of certain themes or characters. When debating film, one can obsess over plot holes, and if one is careful enough, one can find plot holes in literally anything. No screenplay is “perfect.” But a critical focus on plot holes and story problems can be a problem. A plot hole is only an error if the film is so weak that you immediately notice it. Some of my favorite films don't have strong stories or even innovative setups. But they do have intriguing characters, or great visuals that highlight certain feelings (“Eraserhead” is one of my favorites) or even complex themes that are intriguingly explored (Spike Lee's films can feel chaotic in a story sense, but he's damn sure to be direct about difficult subjects). There is a video series put out by CinemaSins that recounts “Everything Wrong With” certain films in a given time. They proceed to nitpick every last tiny detail of a film's plot or production design that one may find fault with. CinemaSins has come under fire several times recently (most notably by Jordan Vogt-Roberts, the director of “Kings of Summer” and “Kong: Skull Island”) for misunderstanding the way films work and reducing discussion of film to base elements. The “Everything Wrong With” videos, however, seem to read as a satire of modern film discourse. There are many, many, many voices online that like to numerically quantify a film's quality by the number of tiny flaws it has. “Everything Wrong With” actually makes lists, pointing out tiny, insignificant details as flaws, pinging them callously off a checklist. They seem to be arguing that just about any film can be grievously hindered by its tiny non-mistakes. This is, as I see it, a send-up of the online tendency to nitpick. The CinemaSins producers clearly – at least to my eye – aren't finding every film to be flawed beyond salvation, but are gently poking the many people who do. It's a satire of modern, shallow online discourse. Those who focus on flaws and tiny details seem to be caught up in a conversation about what a film is about. They don't acknowledge the tone, the pace, the theme, the characters, the richness, the mouthfeel, the intellect, and other things that aren't directly in the film's text. A film's subtext supersedes its text. A film is not about what it's about, but how it's about it. These lessons have guided and shaped me as a critic, and, I assume, have done similar things for other critics of my generation. And while I continue to change, evolve, and improve as a writer (an unending process), and learn new fundamental lessons, these thoughts from Ebert will have served as stepping stones to improve my thinking. They shall ever remain helpful. I always hear film critics talk about Roger Ebert as if he were the Holy Spirit of film making, and in part I'm a little jealous that I didn't grow up in that generation where his influence was abundant and commercial. I think it's kind of awesome that one guy touched so many people and helped them explore about film and cinema. Sadly, when I began investing my life into film it was during the beginning of film's newest wave of "everybody is a critic," with written reviews of newspapers, short online reviews for entertainment sites, reviews on personal blogs, and most prevalent YouTube reviews. The way I understood and learned about film was through many, many different sources that only talked about bits and pieces of what's discussed here. It sounded like Ebert would dive deep into film, trying to explore each layer (if one had layers) while these entertainment snipits really only cared about the thumbs up/thumbs down method of releasing the general review with a recommendation. It's a bit sad where film criticism is these days where the vast majority are concerned about the here and now, but don't look back to talk about films in more depth. Mostly reviews are all about first impressions rather than thought. I strongly agree with Number 1. When I started getting into film over 10 years ago I think I tried to live by that philosophy when trying out new films, but in actuality I was holding them back. An example would be The Graduate. I hated that film when I first saw it. It took multiple viewings and multiple commentaries about this film (whether they be written or audio) for me to understand and appreciate what it was trying to do. In fairness I think I watched The Graduate too young when I hadn't experienced or had a concrete concept of what the film was dealing with, and most importantly what Hoffman's character was dealing with. Now, I do feel like I can separate what I got out of a movie with what the movie was trying to do, and that mostly comes with time. I feel like the only way you can truly achieve Number 1 is through many many many films, and time. A recent example is Annihilation. I super hate that film. I understood what it was trying to do, but the reasons that everybody was head over heels for it were the reasons that I wasn't. However, the difference I found with this was the fact that I could have interesting conversations with people about the film, debate, and understand other points of view on the subject more easily than I did with The Graduate, because at that time I didn't understand what it was about, nor did I probably want to know what it was about.